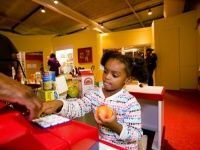 For a perfect day trip with the family, visit these children's museums in PA. Find the best kids' museums in Pennsylvania. One of the Great Children's Museums in Pittsburgh! The Children's Museum of Pittsburgh provides your children with innovative experiences that inspire joy, creativity, and curiosity. Explore the many fun, high-quality exhibits and programs. 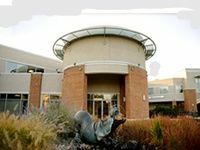 Within this exceptional PA children's museum, your kids can build boats, play in the mud, hammer nails, and learn how to change tires on a car. Accommodating even the youngest of visitors, each exhibit includes an area for infants and toddlers. The museum also features an outdoor play area and tree house--bound to please the likes of all children. For the older kids, there's a large arts and crafts area, where they can make all sorts of cool projects to take home. Lovely Children's Museum in Bucks County! 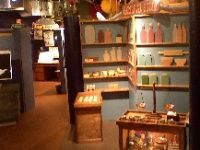 A fun, interactive, and educational environment for children--the Bucks County Children's Museum has plenty of exhibits that reflect Bucks County's unique history and culture. As an elementary and special education teacher with three kids, the founder of the museum became fascinated by Bucks County's textured culture, and wanted to share that culture with children in the area. Stop by the Town Square, where your kids can pick up local crops and take them to the market. At Factory Works, they can work on an assembly line and test their very own race cars. Or they can unearth local treasures at the Artifact Dig exhibit. One of the Best Children's Museums in PA! Since 1976, Please Touch has been the premier children's museum in Philly. The attraction receives much acclaim, being the first museum in the nation whose target audience was families with children 7 or younger. The museum's mission is to enrich the lives of children by creating opportunities for them to learn through playing. The museum provides a fun environment for kids of all ages, educating them on basic life skills like building relationships, cooperation, negotiation, and compromise. Plus, your children will receive an outlet to develop their imaginations and creativity. Allow your little ones to explore the myriad of fun-filled exhibits at the Please Touch Museum. One of the Most Educational Museums for Children in PA! 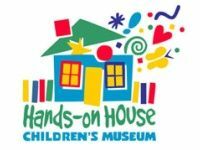 Your kids will love the Hands-on-House Children's Museum, a non-profit organization dedicated to educating them in the most fun ways possible. The museum caters towards children ages 2-10. Rather than offer boring lectures, the children's museum in PA allows your kids to learn through interactive, participatory activities. The exhibits encompass a multitude of educational experiences that will delight parents and kids alike. For example, at the Corner Grocery you can shop for groceries and check out at the register, while learning how to eat healthy. Or your children can learn how Lancaster farmers grow food at the E-I-E-I Know Exhibit. One of the Most Fun Museums for Kids in PA! Enriching the lives of children through its interactive programs and exhibits, The Children's Museum will undoubtedly bring out the best in your child's imagination. Examine the culture of ancient Egypt through art and artifacts at People of the Past: An Egyptian Tomb. 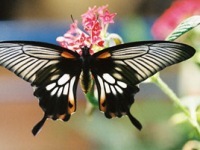 During the warmer months, check out the Children's Museum Gardens, where your kids can learn many fascinating tidbits about plants and insects. If your kids want to get silly, let them put on bird costumes and pretend to fly around a tree trunk. Or they can stage a puppet show. There's no limit to the amount of fun to be had at The Children's Museum! Fun Children's Museum in Pennsylvania! Learning and fun go hand-in-hand at the expERIEnce Children's Museum! Explore the many interactive exhibits, including Aerodynamics--where your kids can insert plastic balls into various openings, and watch with excitement as they shoot through an assortment of hoses and pop out a maze of pipes. Through various hands-on tools, your kids can learn about magnets, rivers, rocks, and even recycling! Other fun activities include a mock grocery store and face-painting. For all your young, aspiring performers; there's even a stage with musical instruments for your kids to try out. The excellent kids' museum in PA is perfect for kids ages 2-12. One of the Nicest Children's Museums in Pennsylvania! Explore a variety of educational and interactive exhibits for children at the Quaint Corner Children's Museum & Discovery Center. The Pennsylvania children's museum emphasizes family values and sparks your kids' imaginations, inspiring learning and growth through play. On the first floor, your kids can create original sculptures with artist clay. The second floor contains a Drama Room, complete with a stage and costumes. The third floor is home to the Transportation Room, where your kids can play with Thomas the Tank Engine and friends. One of the Best Museums for Kids in Central PA! At this hands-on kids' museum in Pennsylvania, your kids will encounter fun, yet challenging and educational experiences. Housed in an 1860's vintage structure and run by former pre-school teachers, the museum contains seven rooms filled with activities created to stimulate the creative development of young minds. Allow your kids to create original works of art, work at a mock construction site, learn about various animals, experiment with magnets, and play in a Civil War era house. The museum's activities are aimed towards children 3-8, but kids of all ages can have a blast at Explore & More. Cool Museum for Kids in PA! 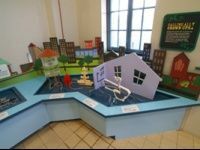 Through the hands-on exhibits at Johnstown Children's Museum, your kids will learn about the area's geography, culture, industry, and ecology. The museum's features include a fantastic area for water play, a climber, rooftop gardens, and a cafe. The museum is located on the third floor of Johnstown's Heritage Discovery Center. 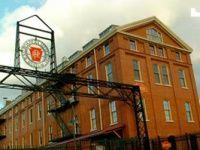 If you're planning a family trip anytime soon, be sure to stop by one of the most impressive children's museums in PA! One of the Most Fascinating Kids' Museums in Pennsylvania! 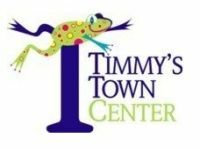 Timmy's Town Center is a children's museum that offers several high-quality, interactive exhibits and programs. Dedicated to the founder's son who was diagnosed with a brain tumor in 2002, the children's museum is the first of its kind in Northeastern PA. The son, Timmy, always loved the Please Touch Museum in Philly: the prime inspiration for Timmy's Town Center. Located in The Mall at Steamtown in Scranton, PA; the museum creates the perfect environment for kids to explore their natural curiosities. 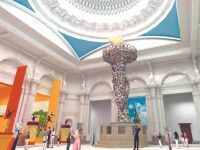 Exhibits include an artists' studio, a construction site, a farmer's market, a tree where your children climb and play around, and a multicultural house where they can learn about many different cultures and ethnicities. A Museum the Whole Family Will Enjoy! Explore Philadelphia's maritime past and present at the Independence Seaport Museum! From young to old, this Philadelphia kid's museum is sure to entertain. Offered at the Independence Seaport Museum is artifacts and art, the Workshop on the Water exhibit, and two historic ships. Along with these great attractions, they also have constantly-changing exhibits, so you can come back again and again to see different attractions. 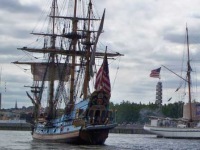 There are even student programs offered here, along with a Seaport Summer Camp which includes boat rides on the Delaware River, rowing in boats, tours aboard their two historic ships, and a variety of other fun activities. Your kids are sure to love this museum, and don't be surprised if you love it too! See Their Many Continuing Kid's Exhibits! Not only a children's museum in Philadelphia, but a top-of-the-line learning center, The Franklin Institute offers a variety of exhibits, theater shows, educational programs, and more. As a perfect trip idea with the family in Philadelphia, The Franklin Institute offers fun for your whole family in their continuing exhibits, such as the Space Command, the Train Factory, the Amazing Machine, the Giant Heart, the Sports Challenge, and much more. 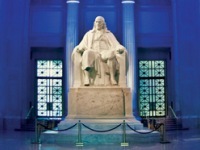 Along with the top-notch exhibits, The Franklin Institute also offers a variety of educational programs, including summer camp, birthday parties, field trips, youth programs, workshops, and more. If you're looking for an educational experience that is also fun for your kid, then come to the Franklin Institute in Philadelphia! Your Little Scientist Will Love This Place! Calling all future scientists! The Academy of Natural Sciences of Drexel University is one of the top kid's science museums in Philadelphia - your kid is sure to love it! This Philly kid's museum offers a large selection of exhibits, including Butterflies, Dinosaur Hall, Live Animal Center, What Eats What, and much more. No matter what scientific interests your kid has, there is something for him or her at the Academy of Natural Sciences! Along with educational and fun exhibits, the Academy of Natural Sciences also offers activities and events that are geared toward young learners. There are numerous activities and events every day that involve games, crafts, music, museum exploration, and more. A History Museum that Kids will Love! 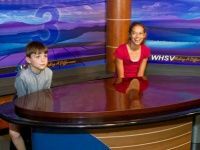 There's nothing more enjoyable for a kid than to have fun, and there's nothing more enjoyable for a parent than to watch their kids learn, so why not accomplish these both at the National Constitution Center? This Philadelphia kid's museum is America's most interactive history museum. Your kids will have a blast, and learn without even realizing it! Located only two blocks from the iconic Liberty Bell and Independence Hall, the National Constitution Center is devoted to the U.S. constitution and educating children about it. They offer a large number of exhibits and events, including Presidential Artifacts. 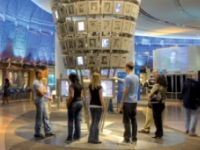 Start planning your visit to the National Constitution Center today - you and your kids are sure to have a great time!